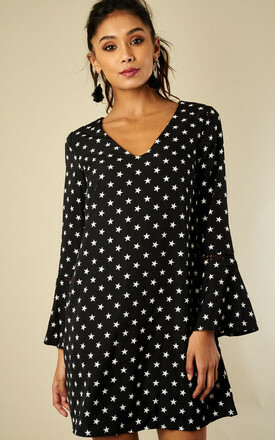 This is the perfect dress for pretty much any occasion and understated addition to your wardrobe. 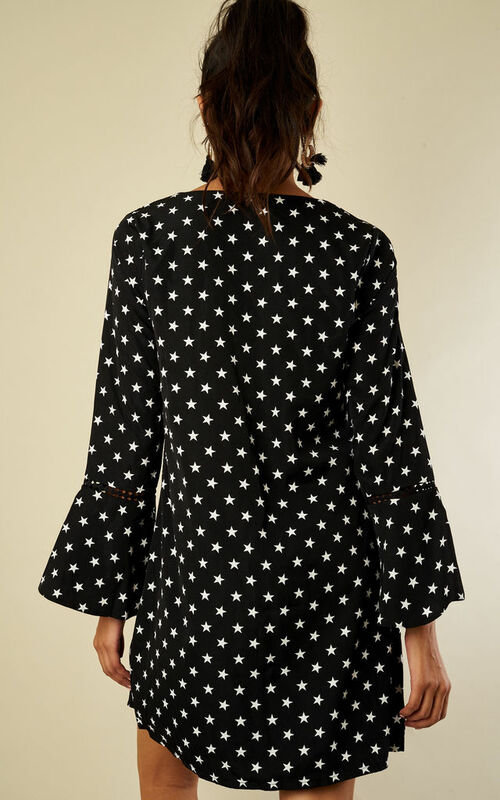 Featuring a pretty star print, the classic shift design has been updated with bell sleeve detail for a stylish feel. Pair with courts or strappy heels.